So unfortunately, Jordan and I had to let the house go that we had put an offer on. The list was for $250,000 which was our offer but to get the house where it needed to be would have been about $90,000 in renovations (with a LOT of sweat equity). After doing an appraisal, we found out that it would only add about $20,000 worth of market value. We didn't think it would be 100% of the reno, but it needed to be at least 50% to make it worthwhile. Jordan has two houses lined up for us to look at on Sunday. It's been a few months since I've posted a spend report update - mostly because there was a new line item 'baby' which we weren't quite ready to share yet. Now that we have, I can get back to posting these regularly. Gas is fluctuating quite a bit right now, because either Jordan or I are driving to BC (or Alberta) each weekend to visit each other. When I drive it costs a bit less because of the vehicles we're using right now. Groceries is trending a bit high because we're buying groceries for both our house, and my moms (as much as we can) to help contribute to her house while Jordan's staying there. Eating out sky-rocketed in May. Yup, it did. Lots of eating out on the weekends when we're visiting each other, plus road food, plus with all this driving back and forth it's hard to meal plan/buy groceries that are just going to go bad. Only a few months left of this before I join Jordan in BC. Alcohol is obviously wayyyyy less now that I'm preggo. No, it's not because I was the big drinker and Jordan's always abstained, it's because during my pregnancy Jordan's being super awesome about not indulging very often when I can't. Pets in May was high - this was both dogs annual vaccinations and checkups. Clothes/Shoes/Hair - I'm starting to need some maternity clothes - not many, but some items here and there so this will go up for a while. Home Maintenance has included things around our house (getting it ready to sell) and my mom's (chipping in when we can). Just this past weekend, we cleaned out and painted my mom's two spare bedrooms as she's getting new carpeting put in (fun!). This also includes a general trip to Costco which had stuff for both households on it and $600 for a home inspection for the new place in BC. Reimbursables - this was stuff for a recent work trip to Ontario and Costco runs for my grandma and aunts. Last but not least...BABY! The new category! April was a few onesies and some other odds and ends. May was a Stroller, and 25% down on a crib and dresser so it could be ordered (remember my $10,000 baby fund - we've been saving for a while...don't worry, we had the cash for this). phew! That's it for now. Any other applicable provincial programs. Due to income restrictions, Jordan and I will only be eligible for the National UCCB ($100/month). We are though, also eligible for a program in British Columbia (BCFB), for which we'll receive about $25/month. I figure - every little bit counts. A short post today - but tomorrow I'll be posting the whole budget. In the last few months I've gone through countless iterations of our budgets for when I'm on maternity leave, for the new house, for carrying both mortgages for short time until our Alberta house sells....sooooo many budgets. Before I delve into the current one, I thought I would share our income situation. With Jordan's new job in BC, he got a bit of a raise. Of course income taxes, benefit deductions and the like are all different too. This has resulted in a larger than expected change to our net take home for him (woohoo) - a little more than $1,600/bi-weekly. I'll be receiving my regular salary until I go on maternity leave in October - so we're banking a lot of that between now and then - but I will have benefits while on leave. I plan on taking the full leave that I'm eligible for, which in Canada is 52 weeks. For 50 of those weeks, I will receive Employment Insurance. In Canada, Employment Insurance benefits is 55% of your average insurable weekly insurance, up to a maximum. In 2015 that maximum is $49,500. So, because my annual salary is larger than the maximum, and I have contributed fully to EI, I will receive the maximum benefit amount of $524/week. Of course, there are income tax deductions on this. I've used the Canada Revenue Agency's Salary Calculator to determine that my benefit will work out to be about $440/week or $880 bi-weekly. I should also mention that my employer provides a generous top up. They will top up, or supplement, my EI payment to 70% of my salary for 15 weeks. This is an awesome benefit to help you transition down to EI benefits. Phew! I think I'll save writing about those for another day. So not only are Jordan and I expecting a baby, we're also moving! We've had an offer accepted on a little 1960's bungalow in my home town and are just working through financing, a renovations budget, insurance, etc. before we waive conditions. 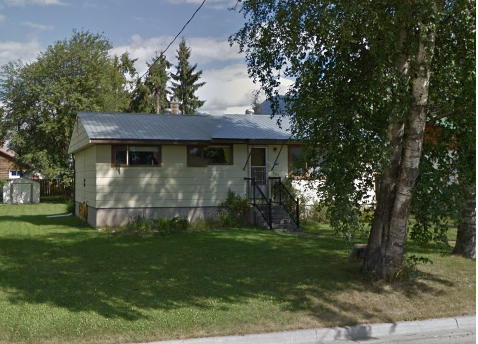 We're going to be selling our home here in Alberta, and I'm in discussions with my employer about the possibility of working from home/telecommuting in some way. It's too far away for my boss-lady to be able to commit, but I'm very hopeful we'll be able to work something out. That's right, we're buying a house, renovating it, and having a baby all this fall! Yes, we're a bit crazy - but we're so enjoying this adventure so far, and looking forward to sharing it with all of you. Jordan has already moved to BC, and is staying with my mom until the new house is ready (my mom is pretty awesome that way). He's got a fantastic new job that he actually applied for over the Christmas holidays when we were in town visiting which is still in the automotive industry. He's been enjoying it so much, and got a bit of a raise to boot! Jordan and I have been keeping our lips zipped about this for a while, but now that we're at the halfway mark we wanted to share with you all that we're joining the ranks of personal finance bloggers with a baby!